Searching for a long lasting handmade carpet? Find the best quality handmade carpet which is woven using handknotted technique and in pure wool or silk material. 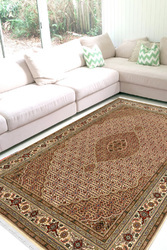 Yak Carpet has a huge stock of hand-knotted area rug which is available at the very reasonable price range.